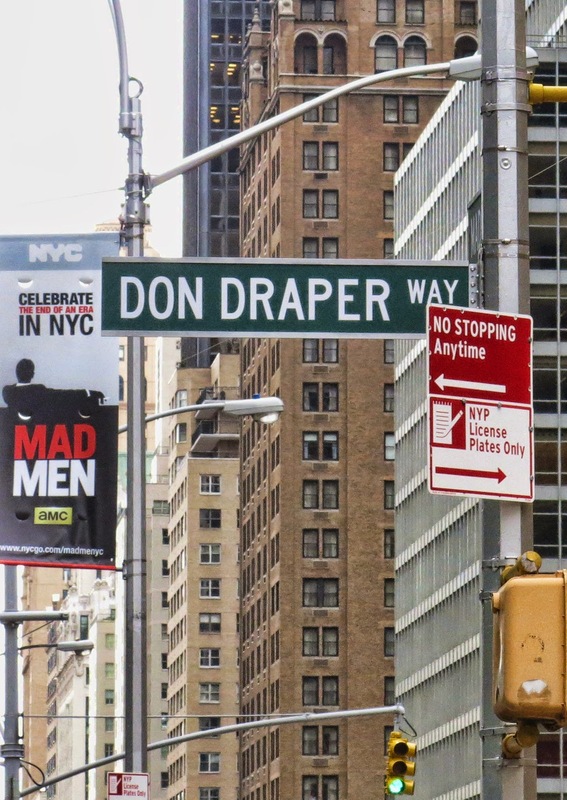 In honor of the new season of Mad Men, they installed this rather odd bench in the middle of a plaza on Sixth Avenue. 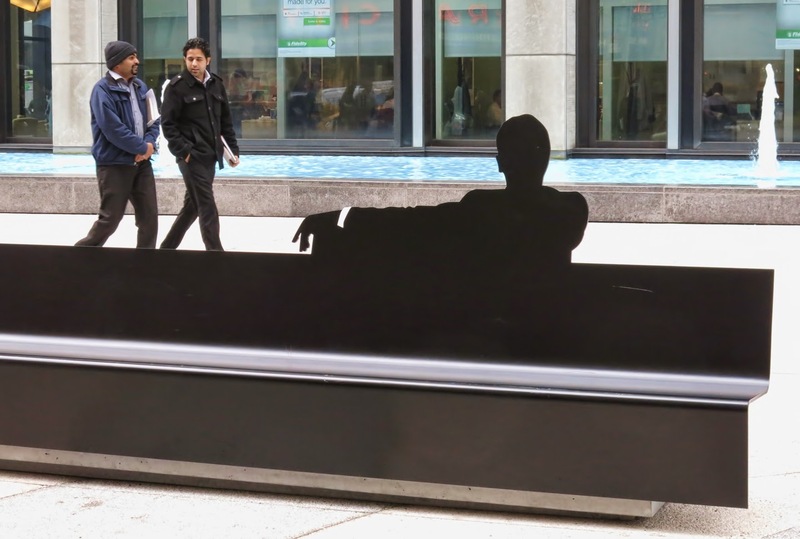 I like the bench itself, with that cool Don Draper silhouette; it's just an odd location. Maybe they put it there because they wanted people to see it, but didn't want anyone to actually sit on it. And I've yet to see anyone do so. It's facing the traffic, and too close to the curb, and feels like it's unanchored, just floating in the middle of concrete space. Whereas if it was turned around to face the fountain, and closer to the water, it would be a real bench, but people walking past would never notice it.